Exposed cabinets have always been appealing to me, especially in small kitchens that lack a distinct focal point. 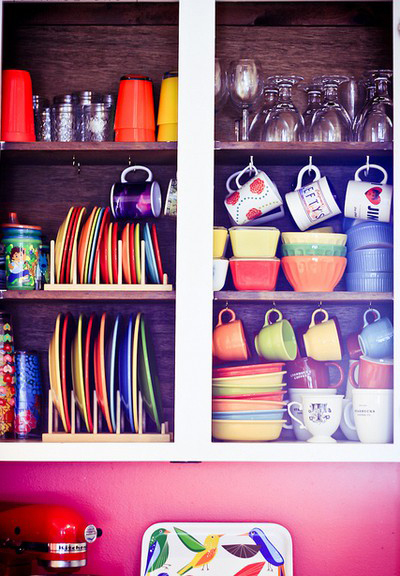 By removing a few doors, your dishes and cooking accessories instantly become a collection of art. And for those who rent, creating an open shelf display is a great way to (temporarily) update your kitchen—for free!